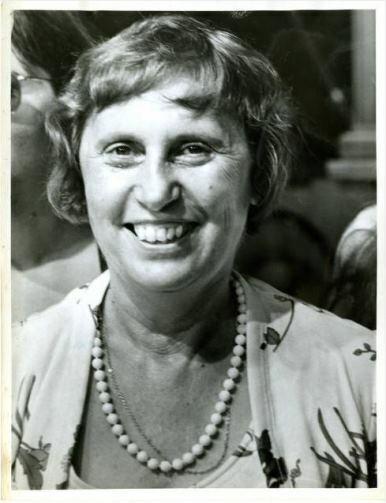 On May 10, 1919, Ella Grasso, née Ella Rosa Giovanna Oliva Tambussi, the first woman governor in the US to be elected “in her own right,” was born in Windsor Locks. Grasso devoted her entire adult life to governmental service, initially as a state legislator in 1952 and in 1954, then serving as Connecticut’s secretary of state in 1958 for three terms. She was elected to the US House of Representatives in 1970 and then again in 1972. Grasso won the governorship of Connecticut in 1974 by an almost 200,000-vote margin and was reelected by a landslide in 1978. She was unable to complete her second 4–year term resigning as Governor on New Year’s Eve 1980, due to illness. She died just over a month later. Though Grasso acknowledged the fact that she’d benefited from the women’s movement, she asked for no special treatment and insisted on being judged by her accomplishments alone. She was not always popular with feminist groups especially for her stance against the use of state funds to finance abortions. Ella Grasso campaigned for the governorship of Connecticut when the state was facing deep financial troubles. She successfully instituted massive cuts in public spending and balanced the state budget. In 28 years of public service Ella Grasso never lost an election.